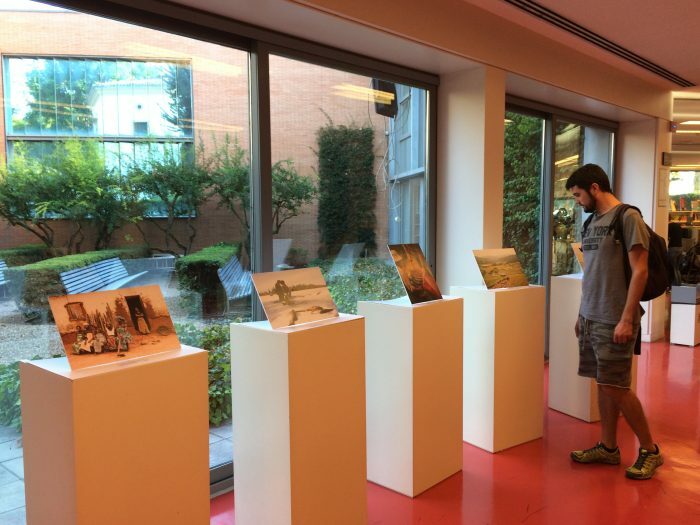 After the huge success of the We Feed the World exhibition at the Bargehouse in London, we have been receiving photos from all the farming communities who participated in the project. 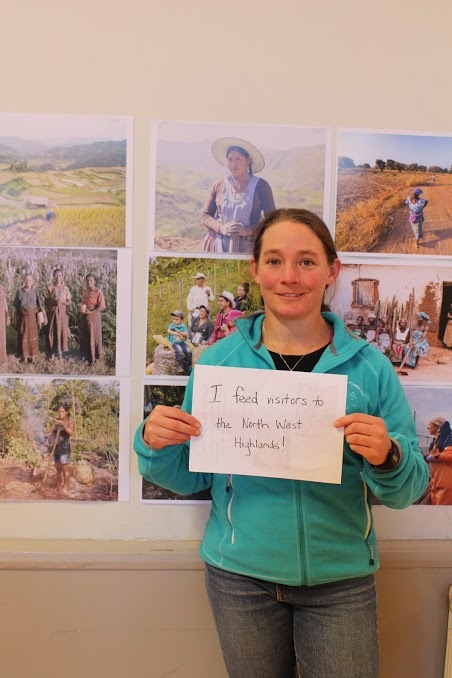 From Moray in Scotland to Panay Island in the Philippines, farmers and communities have been uniting to host their own community exhibitions, spreading the message about how small-scale farmers feed the world. 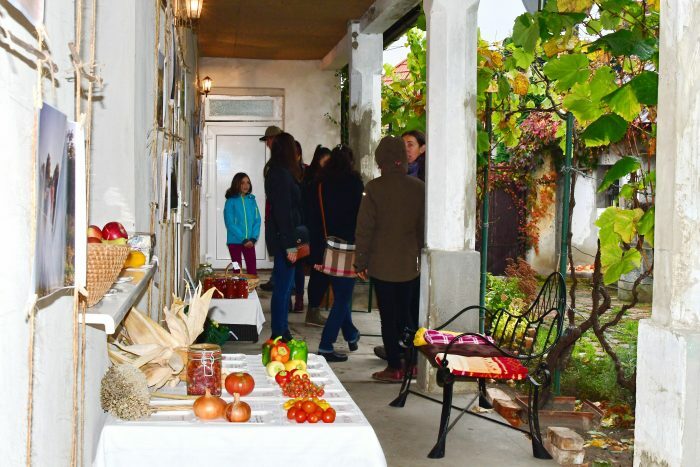 After attending the opening of the exhibition in London and participating in various talks, farmer Zuzana Pastorkova, brought the exhibition to her village Dlha Nad Vahom in Slovakia. In a neighbour’s courtyard she celebrated the stories of other farmers with a traditional feast from her own market garden. 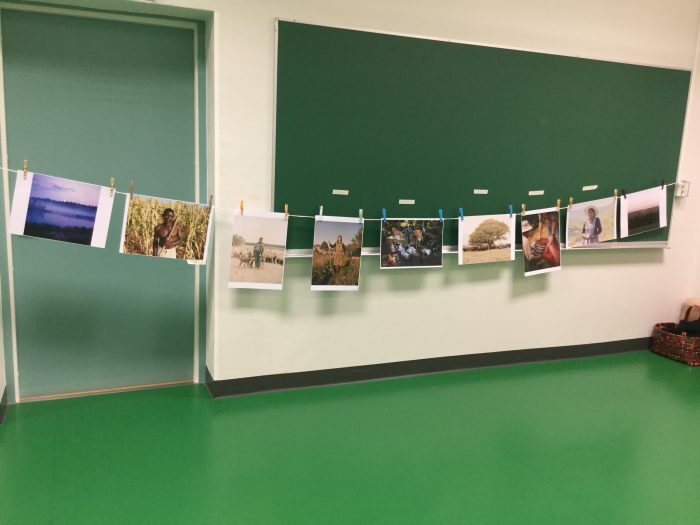 More than 50 people came on the day and Zuzana is due to visit two primary schools with the photos to give talks to the children about where their food comes from. Over winter, the photos will be in display in a cafe in Bratislava. 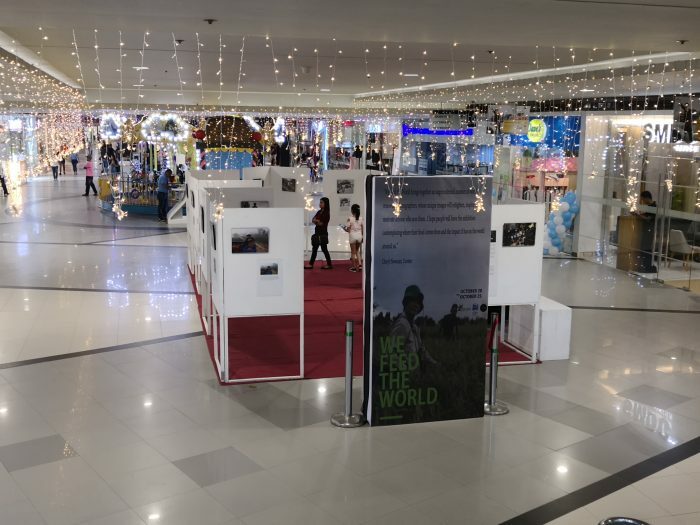 The ZIDOFA Rice Association on the island of Panay, Philippines held an exhibition in Iloilo City Mall, in the island’s capital. 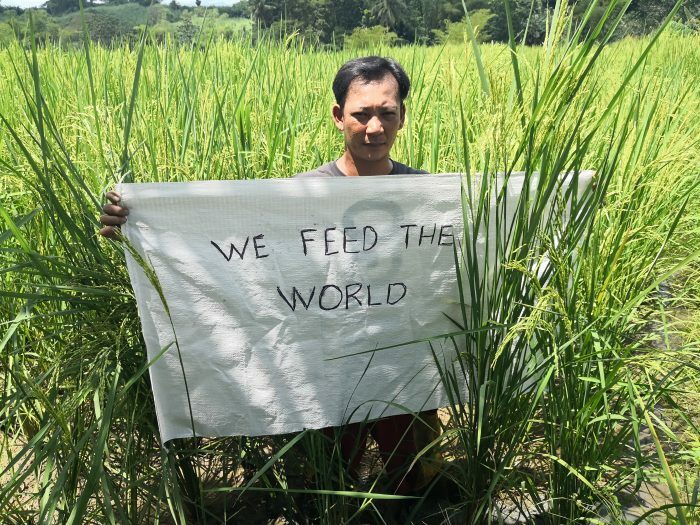 Some of the local farmers also send us endorsements by displaying the name of the exhibition on their rice sacks. In December the farmers will exhibit the photos once again during their annual Pantat (catfish) Festival in their hometown of Zarraga. Our photographer Martin Westlake revisited the community of Likotuden, East Flores Island in Indonesia, where he had previously taken photos of the women sorghum farmers, to show the community their photos. Martin said, “it was very precious to see how overjoyed they were with the photos”. The women organised a small event in the village for World Food Day. 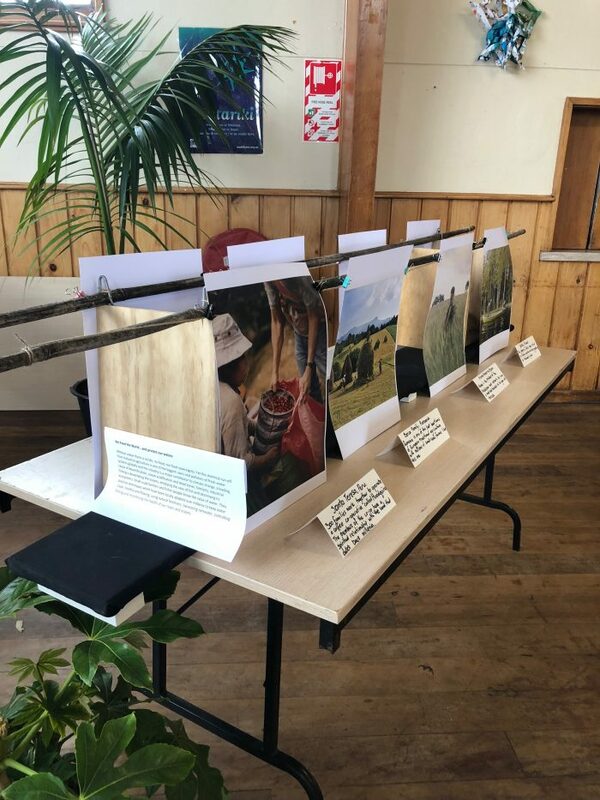 In New Zealand, Hanui Lawrence, farmer from Aunty’s Garden organised a small exhibition in the Marae (Maori community centre) of Waipatu town, where the first Maori Parliament was held in 1892. They are now planning the next exhibition at the Community Arts Gallery. Hanui’s farm is within the Marae communal lands and produces for the community. 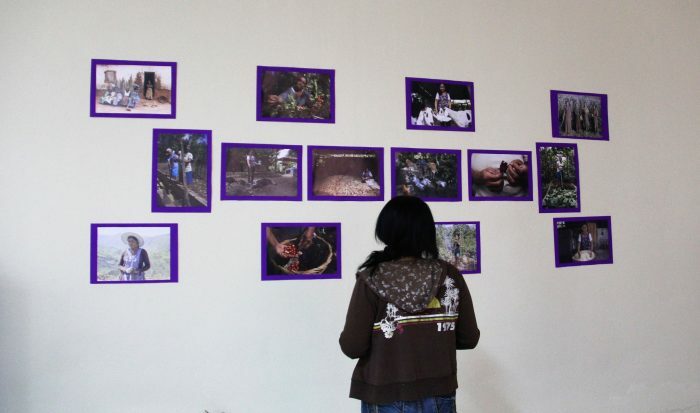 The FEM (Foundation Between Women) of Esteli, Nicaragua hosted a big celebration on the 31st October for the 24th anniversary of the FEM and in commemoration of The International Day of Rural Women (15th October). 200 FEM members came together from the region to celebrate the occasion with their own food and Hibiscus wine. 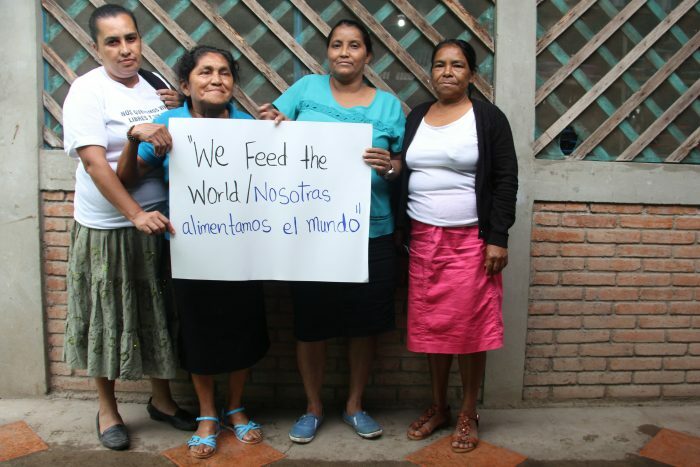 Juanita Villareyna from FEM said, “it was a beautiful event and it makes us proud as rural women to be part of the We Feed the World project”. 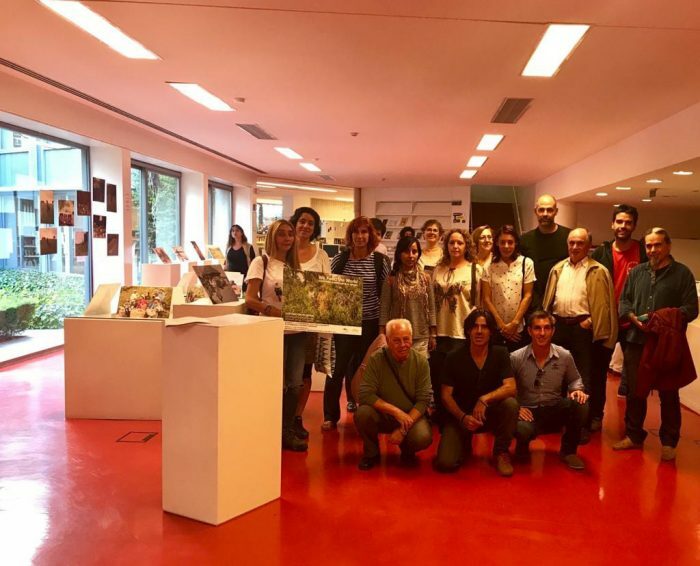 In Seville, The Andalusian Seed Network (RAS) organised an exhibition in the Public Library of Seville, Biblioteca Pública Infanta Elena. To run alongside this, they also organised a series of events, talks and workshops where farmers and seed savers from the region gave various talks, telling their own stories to the public and discussing the importance of seed diversity, synergistic and biodynamic farming and food sovereignty at the grassroots level in Andalusia. 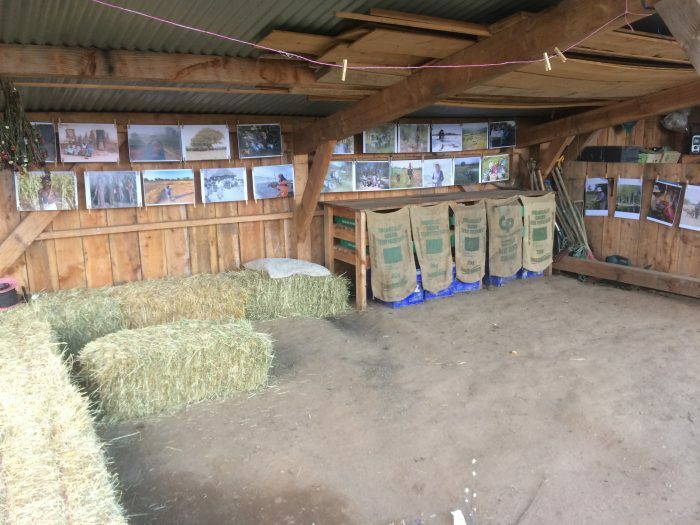 In Scotland, The Scottish Crofting Federation (SCF) organised a two day exhibition in tandem with their ‘Spirit of Crofting’ event in Rothes, Moray. Celebrating the diversification and growth of crofting, they ran a series of talks, workshops as well as hosting an awards ceremony for new young entrants to crofting. 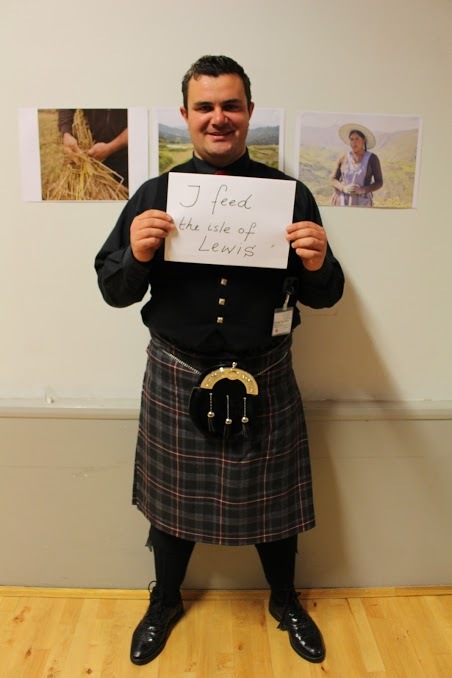 Crofters came from all over the mainland, highlands and the islands to participate. In the town of Kustringen, Sweden, the fishing community held a small exhibition in the town shopping centre. The fisherfolk of the town are fighting to be allowed to continue fishing in their bay. 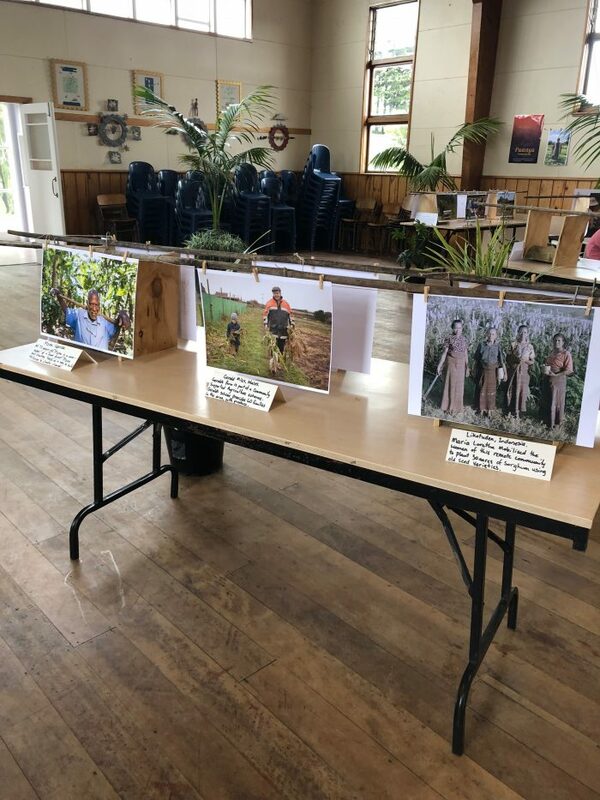 Chagford community market garden hosted an exhibition of the photos in conjunction with their annual harvest festival on Saturday 20th October 2018. 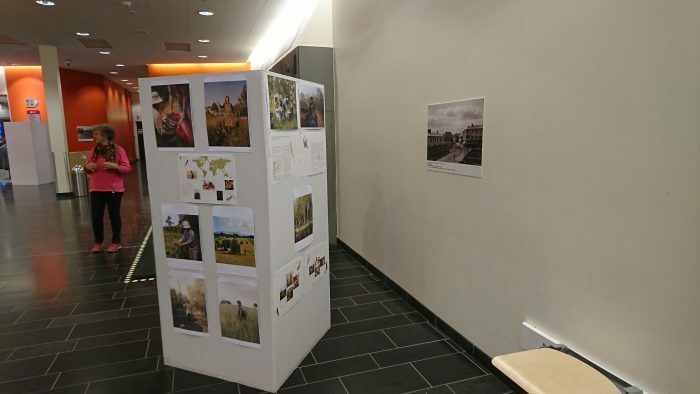 The event was attended by more than 150 people who took a keen interest in the photos and the campaign for greater recognition of the smallholder farmers who truly feed the world. 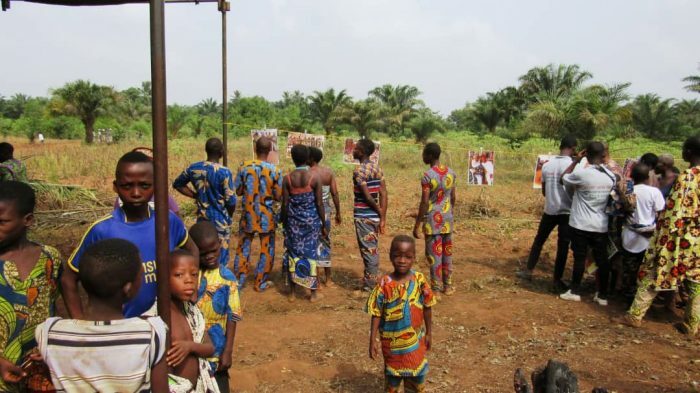 12 communities of Benin, including Todedji, organised a festival and exhibition in tandem with the national day of ancestral religions, with over 4300 visitors. 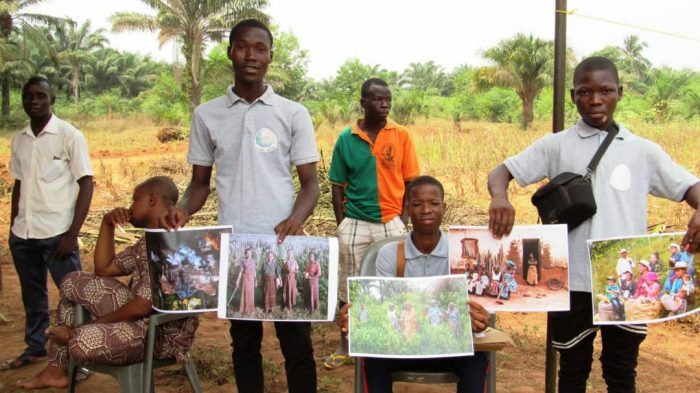 “GRABE Benin…created a photo exhibition to show the whole community, the work of Beninois farming women and from the rest of the world. Thanks to Gaia for this support and providing this opportunity. 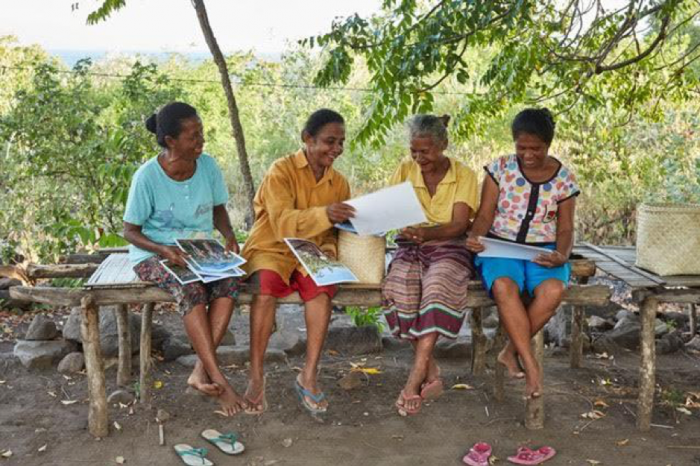 The women and the whole community were really happy because it took them back to the solidarity between women’s groups and the rewarding work of the land”. 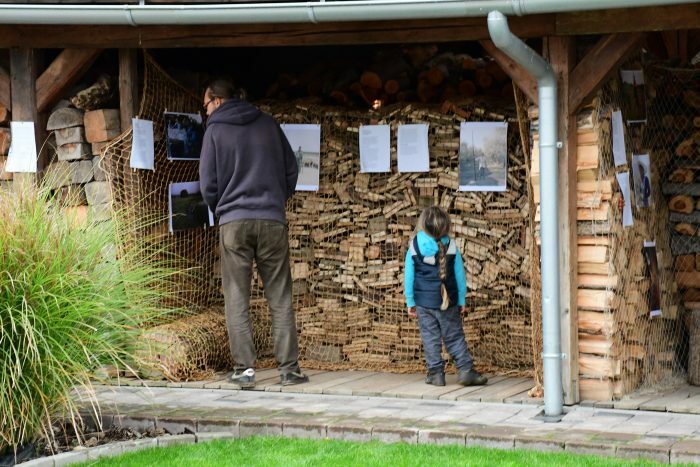 This Selkie exhibit was organised on 16th November 2018 as a part of a village council event “Traditions of Selkie” at the Selkie school. Additionally, Matti Martikainen prepared 8mm films from 1960s and 1970s from Selkie on bear hunting, fisheries, berry picking, preparing traditional bread, and many other traditional actions.